This is a guest article by DIY CONSPIRACY Bulgaria based contributor Mihail Slavov. Code Orange Kids is a band that people were talking a lot about for the past year. In almost every legit music blog there were interviews, news and reviews regarding their tours and releases. One of the most interesting facts about the band is that the guys are like 18 years old, but it feels as if they are already a part of the new generation of really heavy bands. From what you hear in their music, their roots are in crust punk, sludge and even post-rock mixed with so much anger, dark energy and an overwhelming will to expose their artistic visions to the world. Love is Love // Return to Dust is the band’s debut LP, but for the last two years they have put out four other releases. Among most noticeable things in the album are the vocals. Three of the guys (actually two and a girl) are singing and, although some people might disagree, there is enough variety in the vocals, at no point I felt bored of what I was hearing. I especially enjoyed the haunting clean vocals in the end of Liars // Trudge, still they are more of a rarity among the variety of screaming vocals in the record. Another good exception from the general tone of the album is Colors (Into Nothing) It is a great example of the post-rock influences of the band members. The way most of the songs are composed is really interesting. There is almost no repetition of the different parts and some of them even leave the impression as if they don’t really fit together. However, such a song structure works quite well, because it acts like a sequence of pictures and feelings changing with the music in a chaotic manner. The album is full of great guitar riffs and drumming that fits perfectly everything that’s going on. The production of the album is not something extraordinary, still the sound is in the perfect spot between polished and raw. It’s somehow clean, but still edgy and sounds kind of dangerous. It leaves the music unharmed and shows perfectly what is this band about- playing pissed off, dark and dirty tunes. 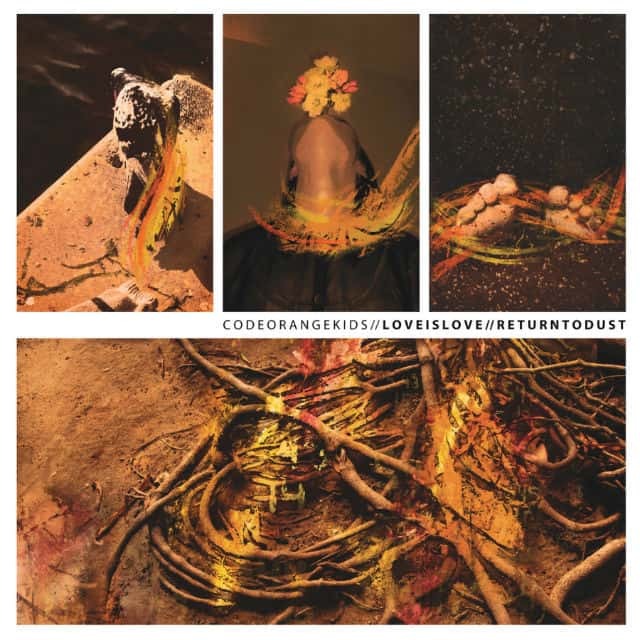 If you are reading this webzine for the right reasons, you have no excuse for not checking Code Orange Kids, because they have everything a punk band in 2012 must have. They are young, angry and honest. They are hardworking, touring like hell and they surely have something to tell you, if you can read between the lines.